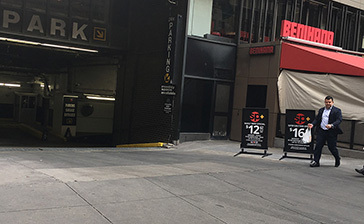 Convenient parking is available near The Plaza Hotel. Refer to the map for more information on parking or to reserve a guaranteed space. 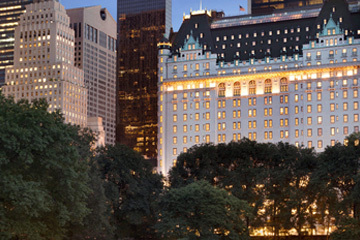 The Plaza Hotel is a NYC icon and standard for luxury. The landmark 19th-century building is located across NYC's Central Park. It has hosted many notable guests, including internationally known singers, politicians, dignitaries, actors, and VIPs. The hotel is home to the Palm Court, Champagne Bar, Edwardian Room, Terrace Room, Rose Club, Grand Ball Room, The Plaza Food Hall, The Todd English Food Hall Restaurant and Marketplace, and high-end shops. The hotel has been featured in literature, films, and television, including the popular children's series Eloise by Kay Thompson.